Ronaldo Breaks World Cup Record! If he wasn't the Great Ronaldo before, he is now... Ronaldo scored his 15th World Cup goal today, passing up Gerd Muller and Pele, to become the all-time leading goal scorer in World Cup history. Brazil beat the African nation of Ghana 3-0 to move on to the World Cup Quarter-finals. They will play France at 1:00 pm on Saturday, July 1 for a spot in the semi-finals. So, my good work buddy (and LAN party buddy), Kevin, bought a new computer case online. It arrived today and it came with these cool lights to put in it. Well, he said that he didn't want both of them, so he gave one to me!!! Kevin is awesome!!! 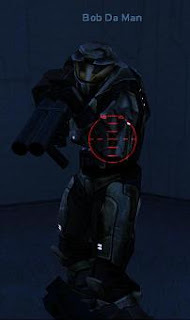 You can see a larger image by clicking on the picture to the left. I wish I could have got a better picture, but it is hard to get a good picture and yet see the blue light. The LAN party was awesome! Those of you that did not come missed out on a lot of fun! We played Battlefield Vietnam. In that game we flew helicopters and flew jet airplanes to destroy each other. You can also drive tanks, jeeps, motorcycles, and a lot of others. We also played Call of Duty 2, Halo, and Far Cry. It was awesome! Well, today we are having the infamous LAN party at Kevin's house. It is going to rock! However, I am taking my computer with me to work so that I don't have to come back and get it. My site is being hosted on a Pentium II Windows Server 2003 box for a couple of days. Because of this, you'll probably notice that some of the links do not work. My music server will be down, and my photo gallery probably will be as well. Sorry for any inconvenience this may cause. But, believe me... these parties are well worth any inconvenience! Sometimes, as human beings, we want certain things so badly, yet we know that those things are not obtainable. Why do we do that? I guess coming to the realization that the certain thing that we want is not obtainable is a good step in the right direction. Maybe from there we can convince ourselves that we don't want it so badly anymore. It is time for that great event that only occurs once every four years! Yes, it is the World Cup of Soccer! The Brazilian National team is the defending champion and they are favoured to take it all again this year. Ronaldo (pictured on the left) is known by many to be as great as Pele. Is anybody else going to be watching? Watch this video. It's great! It has been awhile, but Nintendo has announced the name of their latest console system (which was code named Revolution), the Nintendo Wii. I don't know about any of you, but this was a total shock to me. What kind of name is this? It sounds pretty gay to me. Nonetheless, I am still planning on getting one. At release, it is going to be around $200-$250. 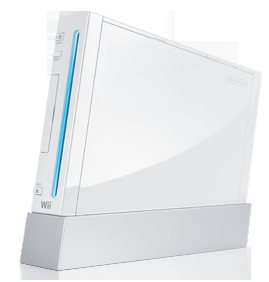 Compared to the Xbox 360 ($300-$500 depending on the configuration that you select) and to the PS3, which has yet to be released (announced at $400-$600 or so), the Nintendo Wii has a much lower price tag. It also has a new revolutionary controller, which will dramatically change the way video games are played. The Wii has many other features which can be read about here. Comments? Concerns? Suggestions? That's what the comments function on the website is for!